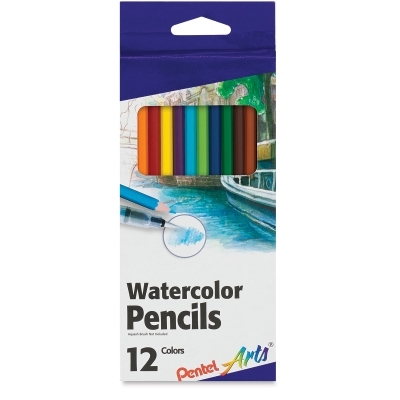 Twelve watercolor pencils in a stunning variety of vibrant colors. These water-soluble pencils allow for delicate washes and the pure pigment allows for softer blends. The thick lead provides long-lasting use and reduced breakage. Our price is below Amazon, Blick and most other retailers!